Sonoma Bank, a subsidiary of Sterling Financial Corporation (NASDAQ: STSA), today announced the appointment of Executive Vice President Deborah Meekins to the role of California market president. Prior to this promotion, she served as the bank’s chief production officer. The role of the market president will be to increase public awareness of commercial and Small Business Administration (SBA) lending, as well as expand Sonoma’s involvement in the surrounding communities, participating more broadly in state organizations and boards. Meekins will also have indirect responsibilities to Sonoma Bank’s other lines of business, including retail branches and the home loan division. Meekins joined the bank in 1985, which at the time was Sonoma National Bank, as vice president and CFO, and became president and CEO in 1990. The bank has been known as Sonoma Bank since 2007, when it was acquired by Sterling Financial Corporation. In 2006, Meekins was named one of the top “25 Women to Watch” by U.S. Banker magazine, and in May 2007 she received an award for “Best Business Community Leader” in Sonoma County from the North Bay Biz magazine. “Debbie is a respected and trusted leader within the community. 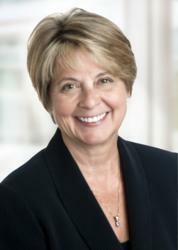 She has built her personal reputation in Northern California over the course of the past 30 years and excelled in every facet of community banking and customer focus,” said Ezra Eckhardt, president of Sonoma Bank and Sterling Bank, both subsidiaries of Sterling Financial Corporation. “We are truly fortunate to have Debbie as a leader on our team. She is an amazing inspiration." Meekins serves as a board member for the California Bankers Association and Santa Rosa Memorial Hospital Foundation. Sterling Financial Corporation of Spokane, Wash., is the bank holding company for Sterling Bank, a state-chartered and federally insured commercial bank. Sterling offers banking products and services, mortgage lending, and investment products to individuals, small businesses, commercial organizations and corporations. As of Dec. 31, 2011, Sterling Financial Corporation had assets of $9.19 billion and operated 175 depository branches throughout Washington, Oregon, Idaho, Montana and California. Visit Sterling’s website at http://www.sterlingfinancialcorporation-spokane.com.